21 experts. will be speaking. Starts at 8:30 AM. Join us at The Agile Testing & BDD eXchange in London on November 6-7th! Keynoted by Jeff Patton, this year will be the fifth anniversary of this cornerstone conference for the Agile community - and it’ll be our best yet. We're planning on three tracks over two days, covering Automation Tools, Portfolio Management, and Team Dynamics: a whole range of Agile topics, from testing to leadership. We're providing a unique forum to explore ideas about these topics with hundreds of other members of the Agile community: this is an experience you won't get back at the office. So if you'd like to spend the day learning all the newest tools and best practices in Agile, having meaningful conversations to help you write more powerful software, and discovering how to best deliver what your business needs, don’t hesitate to join us. Don’t miss the opportunity to hear from world-class experts and meet others who care deeply about software quality, testing, and working in an Agile team! Would you like to join the world's top innovators and experts in BDD, Impact Mapping, Automation Tools, Portfolio Management and Team Dynamics? If your answer is yes, than get your ticket today! Expect to meet leading experts like Jeff Patton, Gojko Adzic and Dan North and many more. Share your ideas with leading innovators in the Agile movement: you can trust us to invite the best! After the phenomenal success of last year, it was clear we needed a bigger venue for this year's conference. 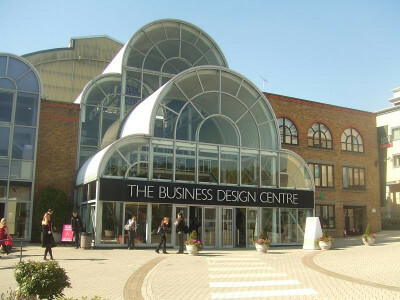 So we have secured the BDC in Islington, where we will be able to accommodate London's sizeable and growing #bddX community. With great spaces for talks and discussions, unrivalled technology capabilities and fantastic transport links in one of London's most buzzing areas, we could not think of a better venue to host this year's Agile Testing & BDD eXchange. We’ve had the conversation with the business, elicited examples and documented them in Gherkin. In reality conversations with the business don’t take place using Gherkin, so they have to be translated into the ‘Given When Then’ format. Unwittingly details can be lost and ambiguities introduced during this translation process. How can we stop this this accidental loss of information? avoid the details being buried and improve the overall readability of examples. The Agile Testing and BDD eXchange OpenSpace is here for you! If you are passionate about BDD, automation tools, agile methodologies or software best practices in general, we want you to feel comfortable and able to share this passion with others. We therefore invite you to use the OpenSpace room to speak, collaborate or simply sit back and reflect on the day's proceedings. You don't need to come with prepared material and it does not matter if you contribute a little or a lot, every opinion counts! Remember the last time a PDF reader insisted on stopping whatever you are doing to update itself for security reasons, half of the internet came down with a browser update, or a library packager insisting on pulling the latest version of some useless crap just to compile your code? Now multiply that feeling by a 1000. With Continuous delivery having become so popular, do you ever consider what happens to the ones on the other side of the stick? Continuous delivery only makes sense if the people on the other end want it delivered, and we don't interrupt their work. Find out what we can do to make the pain go away and still ship frequently. OK, so here's my 'given' for this talk: you're developing some sort of enterprise app, from the outside-in, using a bit of BDD. And you're about to start a new user story. So, what's in 'given' for your story? In some ways getting that nailed is the hardest part of implementing your story. For one thing, you're going to have to get the app's external dependencies (usually a database, perhaps other services) into a known state; but you'll also want to express that set up (which, let's face it, often ends up being quite complex) in a way that is easily grokkable and also reusable. And when I say reusable, I don't mean simply across your specs but also more broadly, for any team member wanting to understand or verify your new business functionality. In this talk I'm going to show you a mini-framework that we've evolved to accomplish this. It's actually part of a full-stack Java framework, Apache Isis, so I'll demonstrate the ideas in the context of an Isis app; but it's straightforward enough that you could port to your favourite stack easily enough. Anyway, we've found it invaluable as we've been developing our own enterprise app (for estate management of shopping centres) on top of Isis. Quality on mobile is a challenge! Developing mobile apps requires dealing with multiple platforms, OS versions, form-factors and resolutions, varying hardware capabilities and network conditions. At the same time users have extremely high expectations for the mobile experience and will promptly punish with bad App Store reviews when disappointed. User expectations are set by fast-moving consumer apps such as Facebook, YouTube and Google Maps which deliver fast, responsive, quality apps with frequent release cycles. So how can we take an agile approach to testing while delivering on the technical challenges posed by mobile? In this talk we look at Calabash a mobile test automation tool which supports and leverages Cucumber to enable easy implementation of BDD. We'll give an overview of BDD for mobile, an introduction to Calabash and demo how we can create executable specifications for mobile apps which act as cross-platform automated acceptance tests. As a "kicker," we'll finish off with demoing Xamarin Test Cloud, an innovative cloud-based service that provides managed access to more than a thousand mobile devices for the purpose of mobile quality assurance, addressing the technical challenges of mobile quality mentioned above. Before joining Xamarin, Karl co-founded LessPainful, a mobile test automation start-up which created the popular open-source mobile test framework, Calabash. LessPainful was later acquired by Xamarin and became the cornerstone of Xamarin Test Cloud. Karl graduated with a PhD in Computer Science from University of Aarhus in 2006 and worked several years as a senior consultant before co-founding LessPainful. His current professional passions are Xamarin, continuous delivery with focus on mobile, and functional programming (with special love for the Clojure programming language). Follow Karl on Twitter and find out more about his work on Xamarin Test Cloud! Put your questions to a panel of experts at the end of day one of the Agile Testing and BDD eXchange. This panel will be led by programme lead Gojko Adzic who will take questions from the floor. We are excited to welcome guest panelist Martine Devos who will join speakers and workshop leaders from both days of the conference. If you have you have an opinion, you're invited to join the panel on stage. The format is designed to pitch those questions you didn't manage to ask in the day. In 2012 Lee Nicholls, a senior executive at a major international bank, embarked on a change programme involving over 400 people in London, New York, India and elsewhere. Dan North has been helping out (for values of “helping”) for some of that time, and in this candid Q&A session he interviews Lee to find out what has been working, what has been challenging, and where they are going next. Lee Nicholls is Head of Securities Operations Technology responsible for the strategy, initiatives and day to day maintenance for Bank of Americas (Global Markets) post trade Securities application (software) infrastructure. Quality on mobile is a challenge! Developing mobile apps requires dealing with multiple platforms, OS versions, form-factors, varying hardware capabilities and network conditions. At the same time users have extremely high expectations for the mobile experience and will promptly punish with bad App Store reviews when disappointed. Expectations are set by consumer apps such as Facebook, YouTube and Google Maps which deliver fast, responsive, quality apps with frequent release cycles. This workshop is a hands-on intro to BDD for Mobile using Calabash. It will enable which enables QA Engineers and developers to collaborate with business to define executable specifications that serve as living documentation for the apps being built. Calabash leverages cucumber to turn specifications into cross-platform automated acceptance tests for mobile apps. This will serve as a whirlwind tour of Calabash. The class is almost entirely hands-on and participants will get familiar with Calabash and will be ready to start using in their own projects. Because of the short workshop duration, we do assume familiarity with BDD and Cucumber-rb. To author automated tests we require some familiarity with automated testing and/or development. Manual testers and project stakeholders are welcome too - this will enable collaboration around creating feature files and test automation. We'll then go on to incrementally build-up a test suite for a real cross-platform mobile app, discussing best practices along the way. We'll wrap up with a demo of running the suite on Xamarin Test Cloud, a cloud-services that provides automated access to more than a thousand mobile devices and delightful test reporting. It’s easy to become infatuated with examples when doing BDD / Specification by Example. Examples are a vital tool, but they're not enough. In this workshop we’ll explore the boundary between rules and examples, and learn a concrete technique for mapping out your understanding of a user story using nothing more than a pack of index cards and a pen. What reporting do you need to optimise the constraints. What additional roles do you need beyond the standard Agile/Lean roles. What is the role of management. What things do you need to consider when designing for staff liquidity? How do you identify HR policies that need to be changed? How do you decide on the approach to building a solution? Unlike many approaches to scaling agile, a Theory of Constraints based approach does not provide solutions, instead it highlights constraints that a company needs to address given its particular context. As such, it is an approach to adapts to context rather than ignore it. Tony's passion has been in building software that changes the world for the better at a scale that makes a massive difference. This has been his passion and his challenge for the past 30 years. Tony started and sold two successful software development business before the age of 35.Both working in complex environments, as Lead developer and Head of Sales in the former and Chief Technology Ofﬁcer in the latter. Tony is currently Head of Agile at Skype. He is bringing sustainable enterprise agility to a fast paced, fast growing organisation with over 1,500 engineers. He still loves to code.Before Skype Tony was the co-chair of the Agile Leadership Council in IBM. His coaching across software labs of 25,000 engineers was instrumental in the endurance of agile. He was also lead technical editor on IBM's agile delivery process framework published as Disciplined Agile Delivery: A Practitioner’s Guide to Agile Software Delivery in the Enterprise.Tony is no stranger to the practicalities of scaling agile often saying "this is wickedly hard". Marina has been working on increasing organisation’s value for almost 20 years. She started in mergers and acquisitions in Brazil advising companies on business worth and improving valuation drivers. She then moved to London to read her MBA at London Business School. Marina has since worked in Strategy, Product Management, and Process Improvement within Telecoms. Marina has gained extensive experience in leading transformation projects. She is currently focused on working on scaling agile with attention on sustainability. Her approach centres on engaging the organisation to make change stick through self-organisation. This enables communities to take responsibility and make change sustainable through continuous improvement. Ram has been working in the Data, Insights & Strategy teams of the top tech Product Companies for the past 10 years. He started off as Quality Analyst after his engineering degree, before moving to the world of Metrics & KPIs. Following his MBA in Sales & Marketing, he then worked in Product Strategy, Marketing and Pricing Analytics. Appium is an open-source, cross-platform and multi-language mobile automation framework. In this workshop we'll focus on using Appium to write functional tests for iOS and Android mobile web, hybrid, and native apps. Beginning with an expanded introduction to Appium concepts, participants will learn about the WebDriver protocol and the mobile-specific extensions Appium has added to make automating mobile apps more effective. We'll discuss the various library methods that are available for the workshop language (Java) and strategies for writing robust tests. Finally, we'll employ these newly-learned skills by running our tests on iOS simulators and Android emulators hosted in the Sauce Labs test cloud. How do you build the team's backlogs for each of the MVPs in your Organisational Backlog? Some items require analysis, like new tax laws. Some require A-B testing, like improving user experience. Others are obvious and don't need much explanation, and some leave everyone confused. Come and experience how you can use Cynefin to solve this nasty little problem. A simple session that you will be able to take back to the office on Monday. Want to support one of the fastest growing developer communities? Then be a contributor to the BDD eXchange 2014 and join us as a sponsor! For more information check out our sponsor pack or email us with your objectives and ideas and we'll be in touch on how we can support you! Engage with the Agile & BDD community! Visibility of your brand and your support for this conference in regular social media updates.